The siesta is over, Merienda Hour has arrived at Bar Centro at The Bazaar by José Andrés South Beach. Ready to snack and sip like a true Spaniard? The Bazaar by José Andrés at SLS South Beach invites you to join the newly launched Merienda Hour exclusively at Bar Centro. Guests and visitors to South Beach can enjoy a happy hour style menu, between lunch and dinner while enjoying a gorgeous sunset view on Monday – Thursday between 6pm – 8pm. 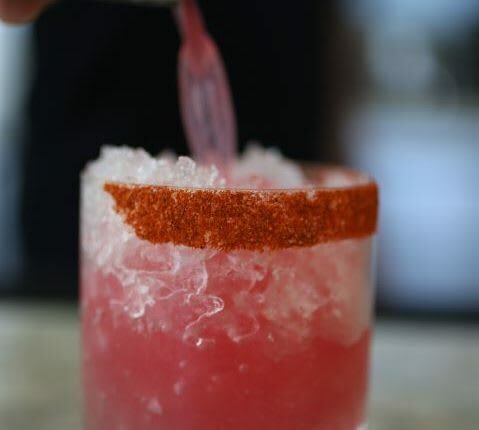 Bar Centro’s signature elevated cocktails will be featured for $8, along with a variety of wine and beer options as guests journey throughout José Andrés’ reimagined central meeting place.